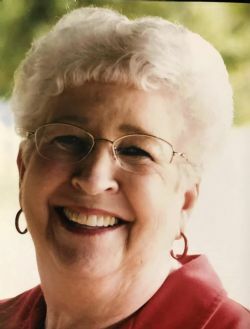 1/27/2019 from 6 P.M. - 8 P.M.
Mary Helen Ballard, 77, of Greenville, was surrounded by her family when she went to be with her Lord and Savior on Thursday, January 24, 2019 in Dallas. A celebration of life service will be 2 P.M., Monday, January 28, 2019 at Family Fellowship with Rev. Matt Beasley officiating. Burial will be in Memoryland Memorial Park. Visitation will be Sunday, January 27, 2019 from 6 P.M. to 8 P.M. at Coker-Mathews Funeral Home. Mrs. Ballard was born on December 16, 1941 in Klondike, Texas to Thomas Blundell and Francis Preas. She married John Ballard on October 26, 1963 in Commerce, Texas. She worked as a teacher for 18 years, Real Estate for 4 years and as a State Farm agent 26 ½ years. She was a member of Ridgecrest Baptist Church and a board of director for The Hope Center. Helen always put others before herself and she taught us to love unconditionally. She is survived by her husband, John Ballard of Greenville, son, Jason Ballard and wife, Veronica of Fulton, Missouri, daughter, Stephanie Quick and husband, John of Greenville, brothers, Thomas Blundell of Klondike and James Blundell and wife, Patsy of Mount Pleasant and sister, Linda Spencer and husband, Raymond of Dimple, grandchildren, Joe Quick and wife, Ashley, Shayna Quick, Chaz Ballard, Garett Ballard, Hayden Ballard, A.J. Ballard and Calli Ballard, great-grandchildren, Addie Quick and Lawson Quick. She is preceded in death by her parents, brother, Jimmy Blundell, sisters-in-law, Patricia Blundell and Dixie Blundell. Pallbearers will be Joe Quick, Chaz Ballard, Garett Ballard, Hayden Ballard, A. J. Ballard and Brent Ash.